A childrens book that I wrote and illustrated is published. 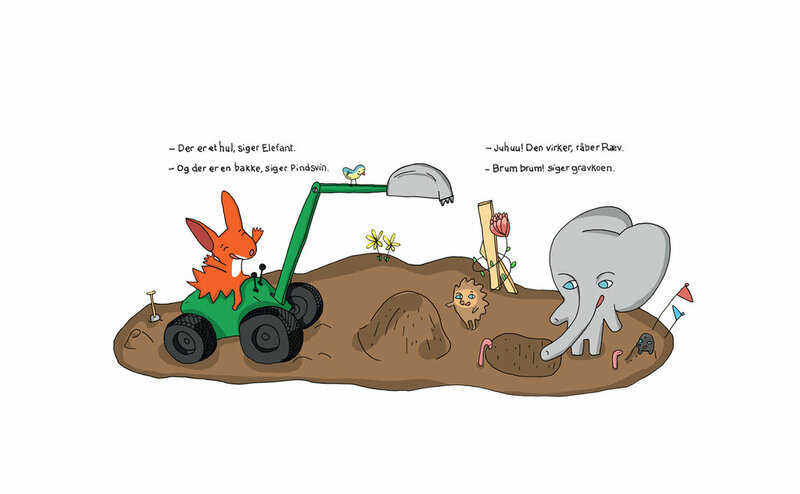 Three little guys are discovering forms and colours that transform into a caterpillar – then they dig a hole! This is a fun way to talk about how language consists of small definitions like colours, shapes and this defines the big things like - green caterpillars! It’s all very exciting if you are 2-3 years old or if you are me. What’s that? Red tractor is only available in Danish. Published by Alvilda, their site is here.